Monday: Body corporate meeting, Thai World takeaway. Still feeling sore from the weekend hike. Wasting time on the net was about all I could manage. Tuesday: Body corporate work. Caught up with the cleaning and unpacking from the hike. Finished reading The Art of Learning, by Josh Waitzkin. Wednesday: Got a new chair at work. Bought the old one for home study use. Grocery shopping, housework, getting stuff done. Thursday: Back into the swing of things with side project programming. “Who are we writing code for?” Blog post by Arne Mertz that really got me thinking. I’m totally focused on continually growing as a developer, which necessarily leads to feeling comfortable with more sophisticated coding constructs. But the blog post makes the case this more sophisticated code may come at the cost of alienating my colleagues. I don’t know how to reconcile that. 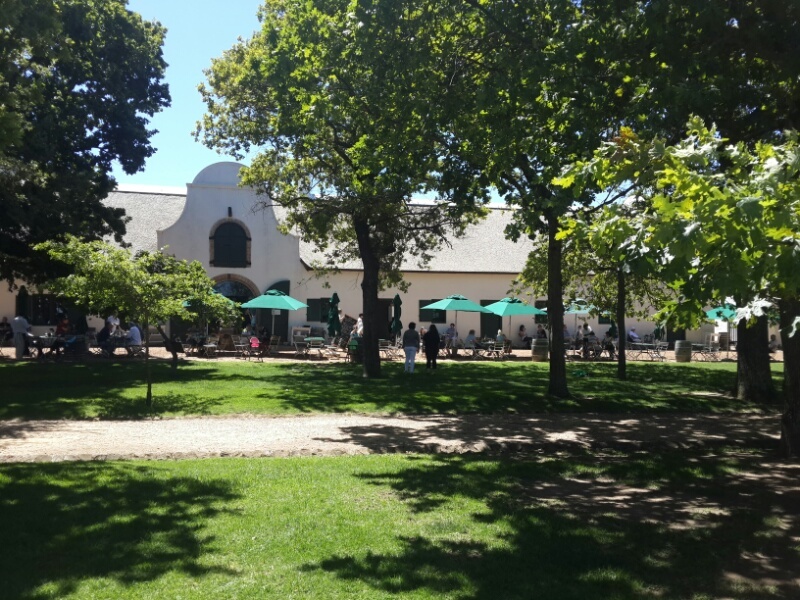 Friday: The office end of year lunch function at the very scenic Jonkershuis, Groot Constantia (above). Nice lunch. Dinner at Paul’s new flat, new to him actually living there that is. He made really nice oven cooked chicken with roast vegetables and salad. Was better than the fancy lunch restaurant. Saturday: Side project coding, lunch with mom and Tina at Mountain View farm. Some woodwork, grocery shopping. Interesting Qt video on Automated Testing for Qt Applications. Watched an episode of the Walking Dead. 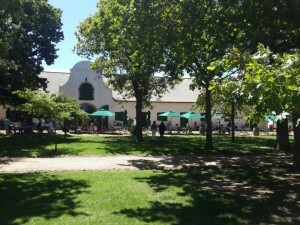 Sunday: Walk around Tokai Park with Julia, and coffee afterwards. Lunch with mom and Tina. Went to gym, mainly just to watch the Abu Dhabi F1 grand prix, but still managed the super circuit. Side project coding. My work week was divided into 80% bug fixing, 20% porting. Hi, I got your pingback on my “who are we writing code for?” post. I see your struggle of wanting to use more sophisticated constructs on the one hand, but not wanting to alienate your colleagues. I’ve been through the same, and I guess everyone who has a more than average urge to learn and use new things has had similar problems. I see two possible solutions: Share what you learn with your colleagues. Many people are willing to adapt new techniques if someone teaches them how to use them and what the benefits are. That way you do not only improve your own code but that of the whole team. If on the other hand the team is reluctant to learn and adapt, there is always the possibility of toy projects for your private entertainment and learning experience. Thanks Arne, I’m enjoying your blog, please keep it up.